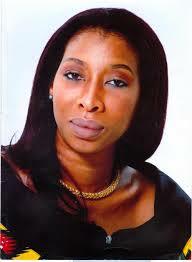 Force and Nigerian Airways, and Justice Rosaline Elendu-Ukeje, who served as Chief Judge of the Federal High Court. She represents Bende Federal Conatituency, Abia State at the Federal House of Representatives. She hails from Alayi, Abia State. Nnenna Ukeje had her Secondary education at Federal Government Girls College, Owerri, Imo State, after which she attended both the University of Benin, Edo State and the University of Lagos and graduated with a bachelor's degree in education. After her University education, Ukeje began her career as a successful hotel administrator. In the year 2007, she was elected into the Federal House of Representative to represent the Bende Federal Constituency, Abia State under the platform of the People's Democratic Party (Nigeria). In 2011, she was re-elected into the same position. Nnenna Ukeje is known in the Federal House for always being concerned about the diplomatic relations between Nigeria and other African nations. She serves as the Chairman of the House Committee on Foreign Affairs and her views on national issues are often adjudged as the true assessment of the state of the nation. She expedited the passage into law of the Nigerian Petroleum Industry Bill (PIB) which has been before the Nigerian National Assembly for a very long time and has generated a lot of hot debates in the public domain.